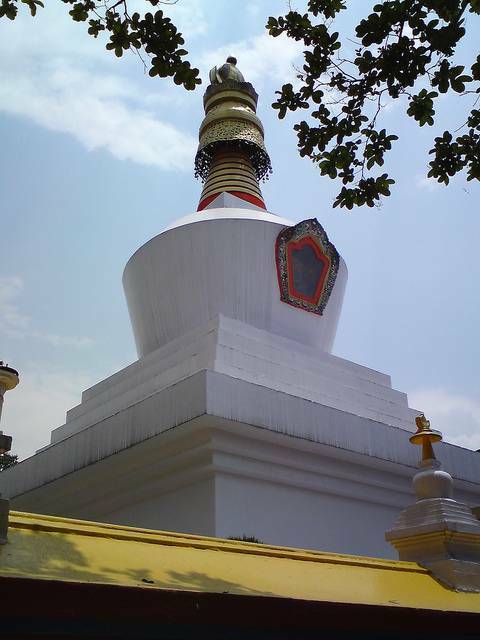 Do-drul Chorten is the biggest stupa in Sikkim, built by the followers of Nyingma order of Tibetan Buddhism. It is also known as Dotapu Chorten. The stupa has 108 prayer wheels or Mani Lhakor around it, which has the Buddhist mantra 'Om Mani Padme Hum' inscribed on them. The lovely white facade of the stupa has a golden spire on the top. Monks and devotees from all over visit this stupa to pray. Travel to Do-drul Chorten is usually made from Gangtok and can be done by road.